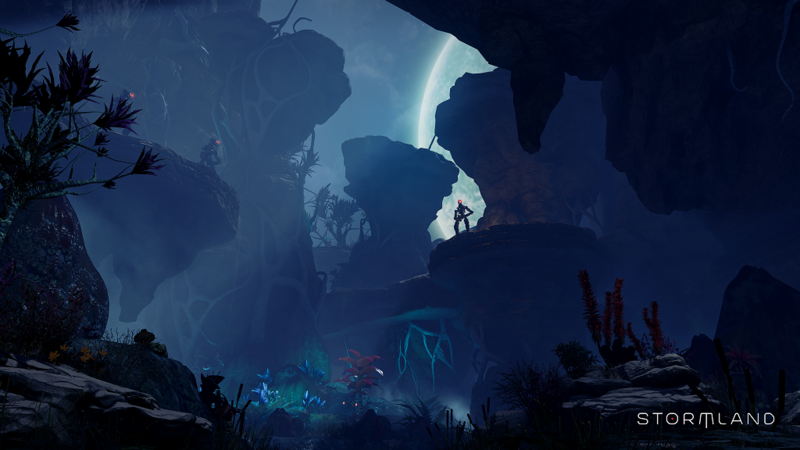 Insomniac Games’ upcoming Oculus Rift and Oculus Rift S exclusive Stormland is one of VRFocus’ most keenly anticipated titles of 2019, set to offer a massive sci-fi adventure to players. While there’s still no confirmation regarding when the title will arrive this year, the studio has just released a rather epic looking trailer to keep fans excited. The trailer is for PAX East, a videogame event in Boston, US, which starts tomorrow and runs through until Sunday 31st March. Expanding upon the original trailer released last year for the Electronic Entertainment Expo (E3), this new video mixes in both cinematic back story content with plenty of action-packed gameplay footage. Stormland puts you in the role of a robot who just happens to be a gardener on a lush alien planet. That was until The Tempest shattered your android body, so you must head out across the planet to augment yourself and save your friends. The title will feature both single-player and multiplayer options, with players having complete freedom to run, climb and fly across the expansive terrain. The trailer features some impressive and diverse looking locations, massive battles against giant robots, explosive scenery, and much more. Hopefully, with the release of Oculus Rift S taking place in the Spring, Stormland will follow suit and be released sooner rather than later. As more details are revealed, VRFocus will keep you updated.